Question: Is it possible to send a payment to the customer again even if I have already sent one? Step1. From the orders page, click on your specified order. Step2. 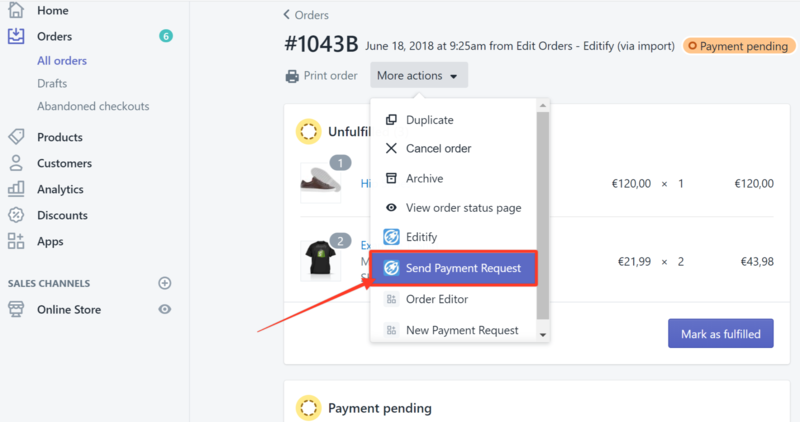 Click More Actions and choose Send Payment Request. Step3. (Optional) If necessary, edit the customer information or the email message that you are going to send. In this example, we edited the signatory. Step4. Click Send Payment Request.